PennsylvAsia: Chinese movie A Cool Fish (无名之辈) remains in Pittsburgh through December 12. 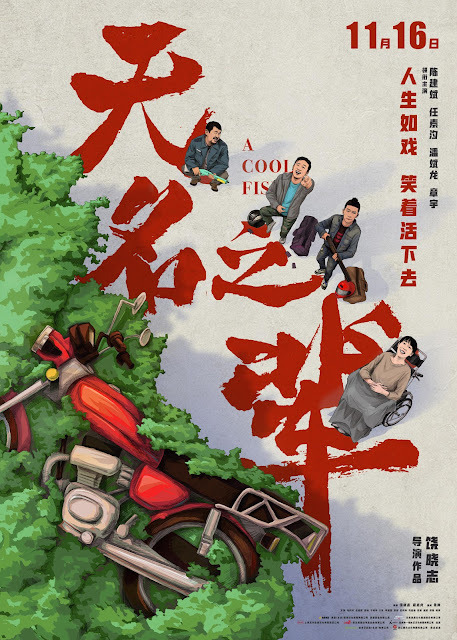 Chinese movie A Cool Fish (无名之辈) remains in Pittsburgh through December 12. A low-end robber, a roguish security guard, a potty-mouthed but disable hellcat, and a group of nobodies, their life paths start intersecting one day because of a lost gun and a heist, which leads to a series of comical accidents. Tickets are available online via Fandango. The theater is located at 300 West Waterfront Dr. in the Waterfront shopping complex in Homestead (map), across the Monongahela River from Greenfield, Squirrel Hill, and the rest of Pittsburgh.